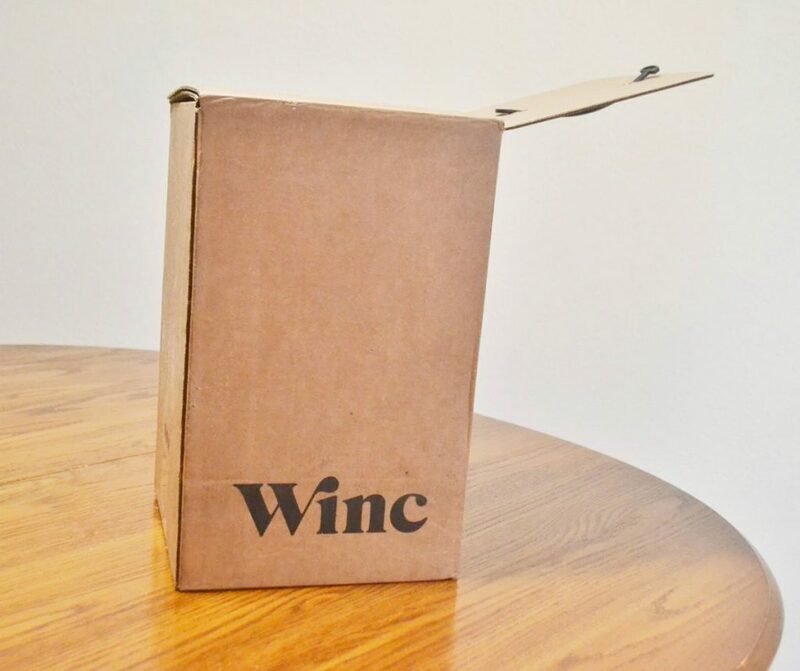 Winc is a personalized wine membership that sends you monthly boxes filled with bottles that fit your preferred taste. You can take a Palate Profile quiz prior to signing up, which gives the company a good idea of what wines you will love. 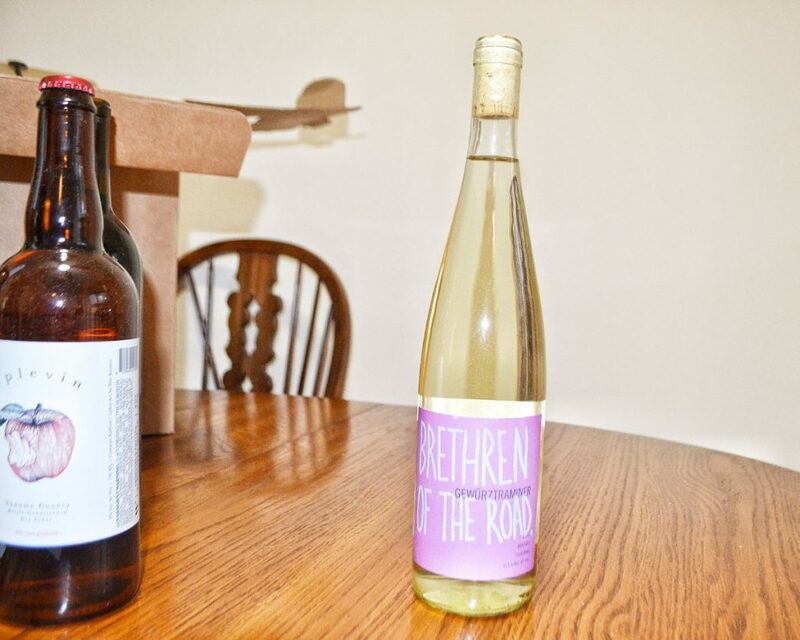 It asks questions such as “Do You Like Citrus”, and “How Adventurous Are You?” After you finish signing up, Winc will give you four wine recommendations. You can add their recommendations to your box, or you can browse their entire selection if you don’t like what they suggested. 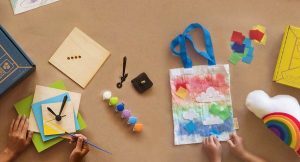 You can order as few or as many bottles as you want, but you will receive free shipping if you add 4+ bottles to your box. If you add 12+, you will save 10%. Wines start at $13, and you will get your money back for any that you did not enjoy. 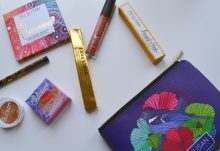 Today, I am reviewing my June Winc box. Last month, I filled out the flavor profile, and I added all four recommended wines to my box. 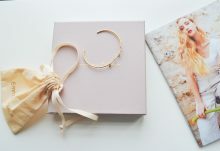 This month, I browsed Winc’s entire selection and picked out what sounded interesting to me. 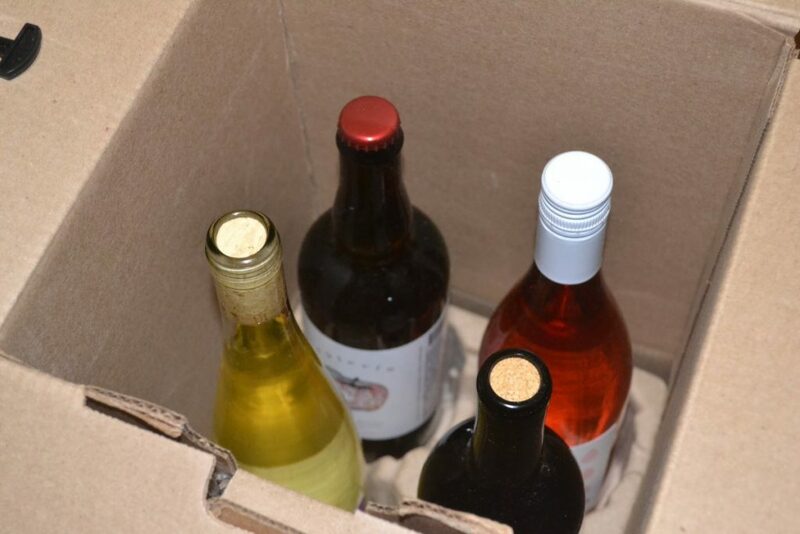 My wines arrived in a large cardboard box, fitted in cardboard molds. Every bottle came in perfect condition. I am so excited to test out these wines! 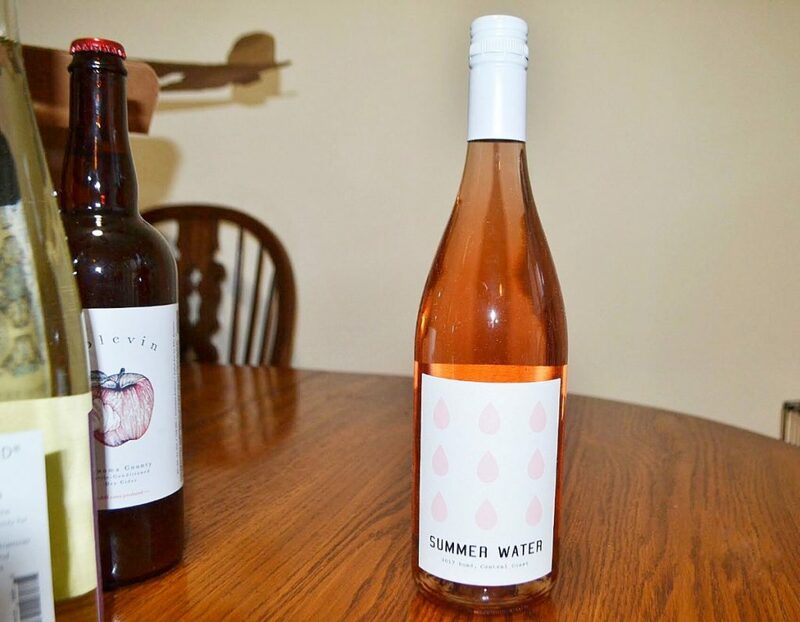 Since it is a hot summer, I picked out a rosé, a white, a cider, and only one red. 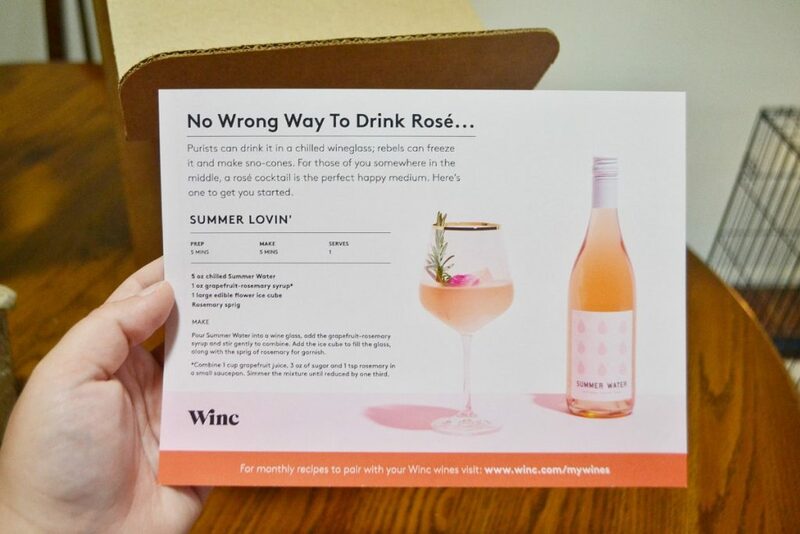 Winc included this little cocktail recipe for the rosé, which I think sounds delicious! I drank all of these wines straight, but I definitely want to learn more about mixing drinks this summer. 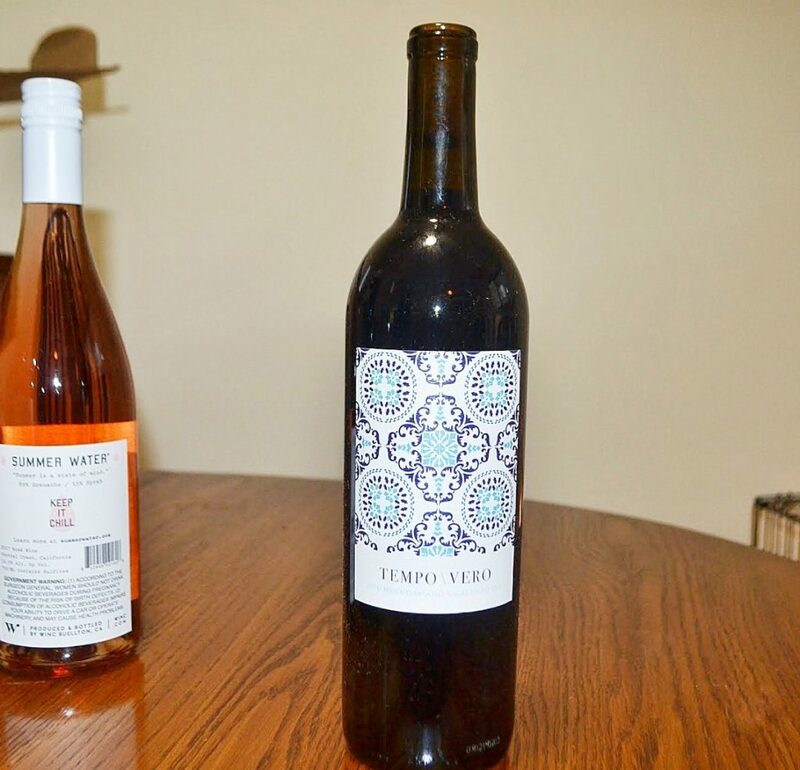 This rosé is made from a blend of 85% Grenache and 15% Syrah. Its grapes were picked early in the season, to achieve a natural acidity ideal for summer drinking. 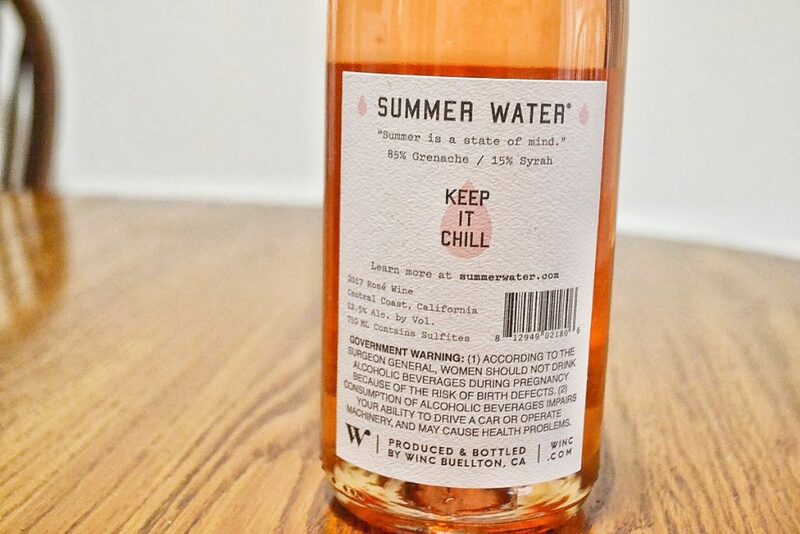 This rosé is dry, but quite fruity – and has notes of grapefruit, strawberry, and white peach. It is tart and crisp, and perfect for drinking by the pool! 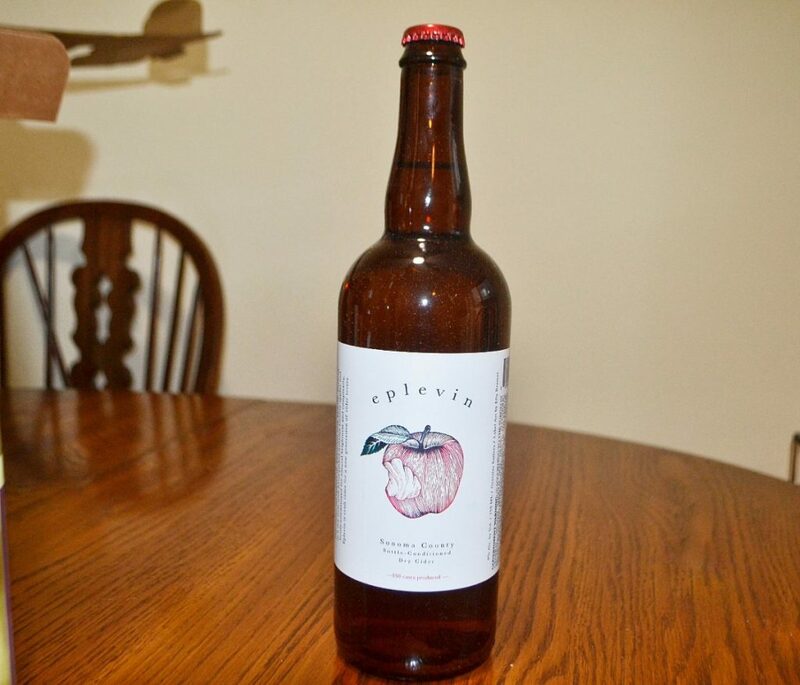 This “apple wine” is made from eight different types of apples, resulting in a dry cider with notes of green and golden apple, lemon, and pineapple. It is medium bodied and relatively low on alcohol for wine. It’s a perfect sipping wine, and I definitely want to try it again in autumn. 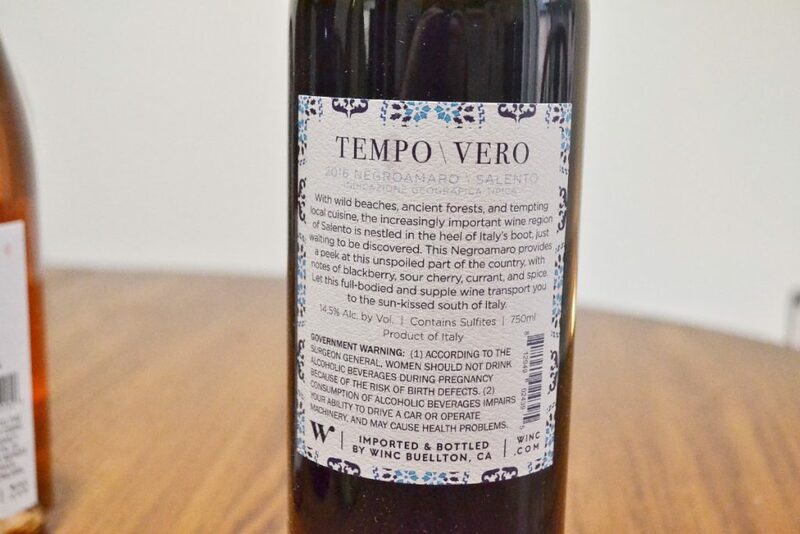 The grapes for this wine were originally from Italy (not Germany, surprisingly). 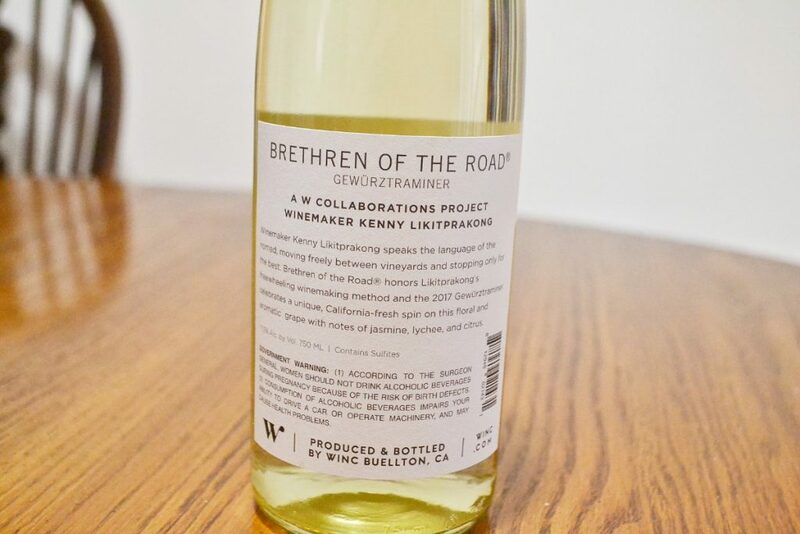 This is a dry wine with a tinge of sweetness, and has notes of honeysuckle, lemon curd, and stone fruit. It’s light and soft, and perfect for drinking any time of day. This slightly sweet red wine is one of Winc’s most popular bottles, and is actually sold out right now. It is medium bodied, and has notes of black currant, cocoa, and dark plum. It is a little woody and spicy, and all together delicious. This is another wine I think would be appropriate in autumn. I will say, I liked my box more this month since I was able to pick out the wines on my own. I just didn’t care for the wines they had recommended to me. That’s the cool part about Winc; they will recommend wines based on your palette profile quiz, but you can choose to disregard their recommendations. I had so much fun tasting these wines, and I especially loved the rosé. And, the box had a great value as well. 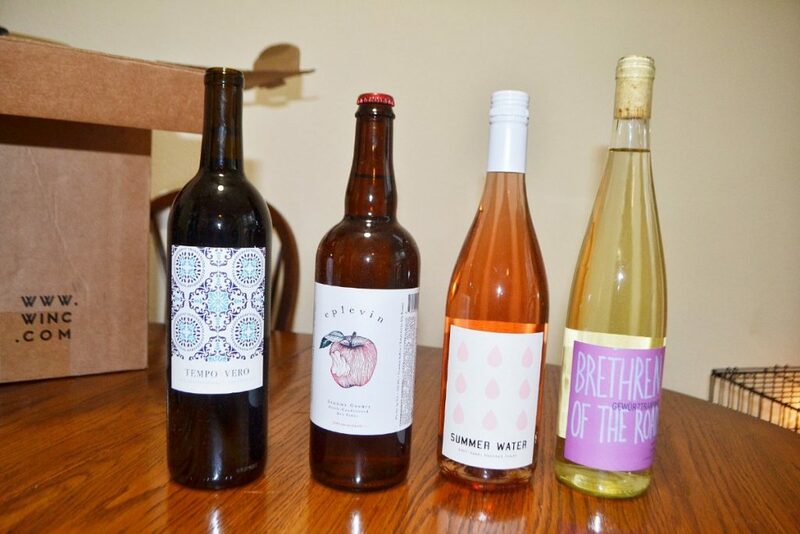 The wines were worth $83, but the subscription only cost $64. What a great way to try new wines, while also saving money! How would you rate Winc ?